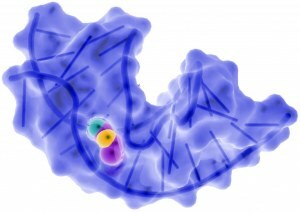 => Quotation request Aptamers are nucleic acids that bind with high specificity and high affinity to a target. The targets can be of various types : proteins, peptides, nucleic acids, toxins, viral particles... They can be considered as putative ligands for any molecule and can be used in basic research, in analysis tools, as sensors, and also as therapeutic tools. As aptamers are nucleic acids, there is no problem of reproducibility during their production compared to antibodies. For your projects involving aptamer selection, identification, labeling and optimization, please contact us.